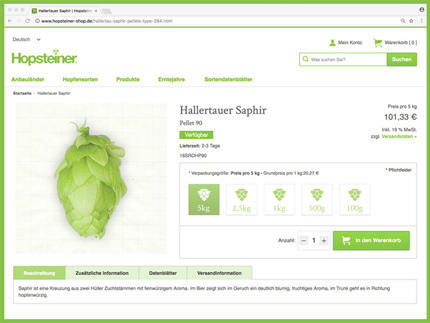 Craft beer breweries and innovative large breweries face a common challenge: they need top quality, processed hops – but only small quantities. 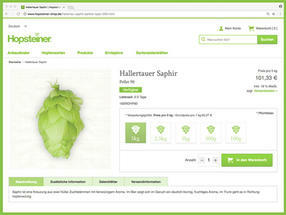 Hopsteiner offers you the opportunity to order high quality hops easily and conveniently via the online shop. 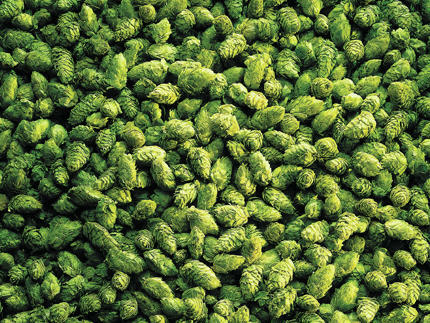 We process our hops into pellets at several locations around the world. Our hop pellets retain the natural properties of hops and are easy to dose during the brewing process while also saving storage space. Our shop shows only the hop varieties which are currently available. Should the product you are looking for not be available, we will suggest suitable alternatives from our variety data sheets to help you save time and start brewing without delay. 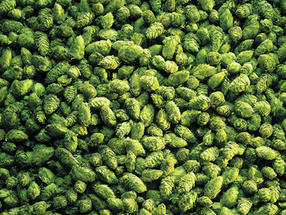 Hop pellets need only about 20 to 25 percent of the storage space required for whole hop cones. We pack our pellets in special, light-proof and oxygen-proof bags. In order to protect the bags from being damaged, we pack them in sturdy cartons. Our conventional hop products are based on the natural properties of leaf hops which can be processed into two types of pellets. Quality and safety are important to us. Our processing plants are ISO certified and constantly updated to the technological state of the art. We process every order in a timely manner, ensuring that it is dispatched on time. Your order is packaged and shipped with the utmost care to ensure that the products you receive are of the highest quality. 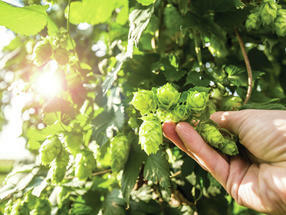 For over 170 years we have been in the business of growing and processing hops. We are very familiar with the requirements of any type of customer, from "one-man breweries" and microbreweries to the world's leading corporations in the brewing sector. This is why we are happy to assist you with your questions about our products and services and to work with you to determine the ideal amount of hop products for you.